SunPower, a stalwart U.S. solar manufacturer in Silicon Valley, plans to sell 60 percent of the company to French oil and gas giant Total for $1.38 billion, the companies announced Thursday. It’s one of the largest solar manufacturing acquisitions to date. Total is offering $23.25 per share for up to 60 percent of the Class A and Class B shares – a 46 percent premium over the closing price of Class A stock and 49 percent of the Class B stock on Wednesday. Total also promises to give SunPower up to $1 billion of credit support over the next five years to support its power plant development business and allow the solar company’s current management to continue running SunPower. The deal gives SunPower the much needed capital to compete while it makes Total a major player in a market it’s been in for a long time but primarily through its ownership in a solar cell producer and a project developer. Last November, Total announced a plan to build a solar panel factory in France that will accommodate 50 MW of annual production. The company also invested $45 million to get a near 20 percent stake in Massachusetts-based Konarka, the organic solar cell developer. The solar market has grown quickly in recent years thanks to generous government subsidies in Europe, the U.S. and Japan. It also has propelled the construction of large factories by those who could raise the massive amount of capital needed to accomplish that feat. Many Chinese solar cell and panel manufacturers have benefited from regulatory and financial help from their governments to build hundreds of megawatts of factories. The U.S. government also has provided loan guarantees to back billions of dollars of loans to help companies such as Solyndra and Abound Solar to do the same, though the expansion plans of these companies still don’t rival the Chinese manufacturers’. SunPower already has borrowed money and sought out partners to expand its manufacturing operations in recent years. The company announced a joint venture with Taiwan’s AUO Optronics last year to co-operate a 1.4 GW solar cell factory under construction in Malaysia. Also last year, SunPower said it would partner with Flextronics to run a 75 MW solar panel assembly plant in California. The companies held a factory dedication ceremony earlier this month. SunPower not only makes solar panels, it also develops power plant projects and has become a major player in the U.S., where it has a home court advantage. 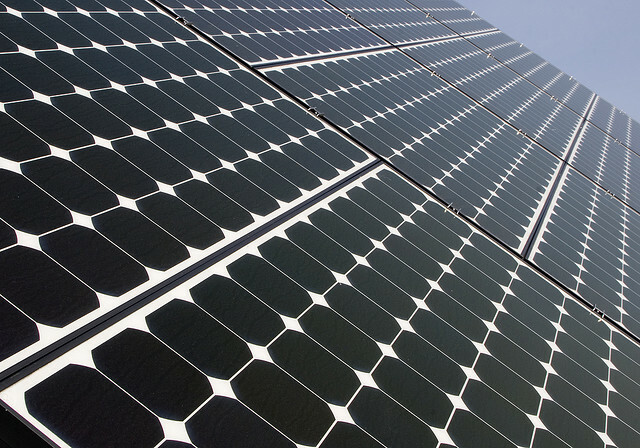 The company was founded in 1985 and is among the largest solar panel makers worldwide. The boards of both companies have approved the agreement, which will still need to clear anti-trust authorities in the U.S. and Europe.